Peter Sellers, one of my favourite comic actors, starred in a slight but amusing film called Heavens Above! in which he played a Church of England prison chaplain who is mistakenly appointed to a living in a well-heeled area. He has all sorts of notions of social justice and fairness and attempts to put them into effect with disastrous results for all concerned, including the targets of his charitable but misguided efforts. His free-food scheme, for example, is both unsustainable and, at the same time, threatens to put the local grocer out of business. The point of the film is that utopian schemes, no matter how well intentioned, sit ill with real people in the real world. The film serves as an amusing example of the folly of thinking that good intentions and being nice can, by an act of will, overturn the technical economic necessities that must underlie any functioning economy. My original title for this paper was ‘Economics and Ethics: Friends or Foes?’–a strange title, one might be forgiven for thinking. Could one envisage someone delivering a paper entitled: ‘Ethics and Physics: Friends or Foes?’. This scarcely seems likely, yet the title of this paper would, I believe, not be considered obviously odd in the way that a paper on the relation of Ethics to Physics would surely be. Why is that? Because, I believe, we intuitively think that Ethics and Economics could have something to do with each other; that their relative fields of enquiry, their topics; their judgements, etc. could in principle at least, overlap. Whether or not they in fact do engage (and if so, how) is, of course, another question. Reviewing Leland B. Yeager’s Ethics as Social Science: The Moral Philosophy of Social Cooperation, Roderick T. Long attributes to Yeager the view that ‘…economists and moral philosophers often like to pretend they have nothing to do with each other. Economists pose as value-neutral scientists who have no need for airy-fairy moral theory; yet they regularly dispense the sorts of prescription and advice that cry out for ethical analysis. Philosophers likewise view themselves as having loftier concerns than vulgar economics; but by conducting their ethical and political theorizing in ignorance of economic principles, they are unable to avoid recommending policies that would be unworkable or disastrous in practice’1. Generally, if we want to know whether and to what extent A and B have something to do with each other, we need to be able to delineate A and B clearly. And this is where our problem starts. Alfred Marshall thinks of economics as a study of mankind in the ordinary business of life; while Lionel Robbins, in his classic An Essay on the Nature and Significance of Economic Science conceives of economics as a science that studies human behaviour as a relationship between ends and scarce means that have alternative uses. The Encyclopaedia Britannica, while boldly proferring the definition that economics is a social science that seeks to analyse and describe the production, distribution, and consumption of wealth simultaneously concedes that no one has ever succeeded in neatly defining the scope of economics! Surely we can find a definition in a dictionary of economics but no–having reviewed and dismissed one or two would-be definitions, and proferred, half-heartedly, one of their own, the authors concede that ‘It may well be that a wholly acceptable definition does not exist.’! [The Penguin Dictionary of Economics: ‘Economics’.] One cynical commentator noted that an economist is an expert who will know tomorrow why the things he predicted yesterday didn’t happen today while another went so far as to ask, ‘who put the ‘con’ in economics?’. It is not so much difficult to define ethics as it is to choose which of the three dominant paradigms to endorse- -consequentialism, deontologism, or virtue ethics. Whatever the precise definition of economics, and whichever ethical system one chooses, the key point on which economics and ethics are supposed to differ is that economics is taken to be descriptive and ethics is taken to be prescriptive; one tells us the way things are; the other, the way things ought to be. Why it is that our intuition on the possible relation of, respectively, physics and economics to ethics differs? At least part of the reason why we would have difficulty understanding why someone would offer a paper on the relationship of physics and ethics is that we understand physics to be a science, with its own subject matter, its own methods of enquiry , and its own results. Where does ethics fits into all this? Of course, physicists are human beings and human beings, even physicists, can act unethically (or even ethically) but physics, just as such, doesn’t appear to come with the range or scope of ethics. Prescinding from disputed issues in the philosophy of science, we could say that the reason for this is that physics as a science attempts to describe, explain and predict a realm of reality that in its essential operation is completely independent of human needs, desires and interests. Economics, on the other hand, is manifestly concerned with human action. The objects of economics analysis–prices, wages, supply, demand, interest, money, production, and distribution–are all socially constituted objects and exist only in a nexus of human activity. Does that imply that economics ineluctably has a normative element? As we shall see, some people do hold this view. Is economics a science (where science, materially understood, would be a pattern of generally recurring structures in the flux of reality)? If economics were a science, then it would seem that it should have its own intrinsic order that is independent of ethics. Like all human enterprises, economics may be (accidentally) contaminated by the usual factors of human bias, ignorance, self-interest, and so on, but as a rational investigation, the process is intrinsically self-correcting2. Two schools of economics hold that economics is a science: the Austro-AristotelianSchool and the Neo-ClassicalSchool. For the Austro-Aristotelians, economics as a science consists, at least in part, in the grasp of essences. For the Neo -Classicists, economics is a science whose method comprises the construction of models and their testing by experiment. Its method is broadly similar to that employed by the so-called ‘hard’ sciences. The difference between the two schools lies in how they regard the subject matter of economics. As I’ve just indicated, the subject matter of economics is precisely constituted by meaningful acts which have intrinsic intelligibility and which are materially embodied. The subject matter of physics, on the other hand, is not constituted by meaningful acts. It would be a mistake–one that was made by medieval Aristotelians–to use Aristotelian methods here in attempting to develop the science of physics. Might it not be equally mistaken to use the methods of the hard sciences in attempting to develop the science of economics? Reflecting on Boettke’s arguments, Crespo adverts to the Aristotelian distinction between the theoretical, the practical and the technical. Practical sciences bear on purposive action and are those moral or value-relevant sciences. The technical sciences, on the other hand, determine the most adequate way of attaining a desired goal or making a product. Taking up and accepting Boettke’s distinction between political economy and economics, Crespo remarks that political science must be a practical science whereas economics must be a technical one. ‘In Aristotle’s schema, oikonomike broadly corresponds to political economy, the practical science, and chrematistics to economics, the technical science.9‘ [See Aristotle, Politics, chs. 3-11.] In the light of this distinction he agrees with Boettke on the value-free character of economics but cautions that ‘[f]or technical theory to be operational, it must have content. A continuous dialectical flow oscillating between practical and technical considerations ought to be followed. That would be the real economic science–one that involves both economics and political economy’10. Kurt Rothschild would be prepared to maintain the scientific/normative distinction but aware of the complexities involved. The science of economics analyses and explains the economic process but doesn’t necessarily evaluate the process as being either good or bad. Rothschild, however, admits that in practice, it can be difficult for the economists to engage in their studies without raising some ethical questions. ‘The ‘mainstream economics’ of the twentieth century fully accepts [the separation of economics from its ethical roots]…. Economic theory is seen as a positive science which has to analyse and to explain the mechanisms of economic processes…. Important as ethical valuations (‘ought’ statements) may be, they should not form part of the economist’s research programme’11. L.D. Keita, on the other hand, is sceptical of the pretensions of economics, at least in its neoclassical variety, to scientific status. Given that the whole theoretical structure of economics rests on the postulate of rationality (which for him is through and through normative) he believes that this is enough to make economics, just as such, a normative discipline. ‘… [T]he ontological divide between positive economics and normative economics is a modernist chimera founded on the rigid dogmas of positivism…. [T]he total structure of neoclassical economics is normative in nature on account of the special role it ascribes to the postulate of rationality.12‘ In fact, Keita goes so far as to argue that rather than economics being, as it were, a branch of applied mathematics (as it appears to be in some varieties of Neo-Classical theory), it should better be conceived of as a branch of applied ethics. To meet Keita’s claim regarding the intrinsic normativity of economics, we must, I think, distinguish between internal or constitutive normativity and external or extrinsic normativity. As I have indicated above, economics is internally normative, and necessarily so, for the data with which it deals is constituted by human action and its manifestations. But that kind of normativity is not enough to settle the question of whether the distinction between a normative and a non-normative economics is viable. It is still an open question whether economics, thus normatively constituted, is denuded of its a-moral technical dimension. I believe that the answer to this question is that it is not. While economics, constitutively or internally normative, is further contextualised within ethics and politics, their particular brands of normativity are external to the technical body of economic theory. Two extremes are therefore to be avoided. On the one hand, the subsumption of economics completely into praxis would denude it of its technical aspects–economics would then becomes a local and parochial form of politic theory; on the other hand, the subsumption of economics completely into techne decontextualises economics unrealistically from the broader social and political world in which it subsists and without which it has no ultimate meaning13. To focus the discussion a little more sharply, I should like to consider a case in point. Catholic Social Teaching burst on to the scene with Rerum Novarum in 189114. Of course, the Church has always had something to say on moral matters connected to the world of commerce, notoriously, for example, in connection with usury, but I think it can fairly be said that a systematic vein of social reflection begins with Rerum Novarum and continues to the present. This body of social teaching has the capacity to divide Catholics of various political hues. Some find the teachings on, say, the just wage and the original gift of the world to the whole of mankind, to be a wholly appropriate criticism of the manifold deficiencies of capitalism, while others find such teaching to be economically naive. Others are heartened by the assertion of the right to private property and the ringing condemnation of socialism as a system; others are equally appalled by this. Some applaud one encyclical and disparage another. Murray Rothbard, for example, remarks acidly that ‘Rerum Novarum… is fundamentally libertarian and pro-capitalist. Quadragesimo Anno, on the other hand, is virulently anti-capitalist and, in fact, pro-fascist’15. Others, perhaps more moderately, discern a certain unresolved tension in the Papal pronouncements. Medaille remarks that ‘… when we confront the Papal teachings, we are immediately faced with a conundrum. On the one hand, they command the freedom of the market and, on the other, they command the payment of a living wage. Yet a free market sets its prices, even the price for labor, according to the laws of supply and demand, not according to the law of needs and certainly not according to Papal command’16. A lively dispute on the relationship between Catholic Social Teaching and economics has broken out on the web. Thomas Woods, in his article ‘Catholic Social Teaching and Economic Law’ (2002) remarks that ‘[t]he primary difficulty with much of what has fallen under the heading of Catholic Social teaching since Pope Leo XIII’s Rerum Novarum (1891) is that it assumes without argument that the force of human will suffices to resolve economic questions, and that reason and the conclusions of economic law can be safely neglected, even scorned. In fact… proponents of Catholic social teaching effectively deny the very existence of economic law’17. He notes that Pius XI makes what he calls ‘a significant concession’ to economic reality in Quadragesimo Anno but he doesn’t provide much analysis or commentary on this passage which I consider not just to be a concession but to be extraordinary significant in itself. More on this later. Todd Whitmore also attacks Catholic neoconservative economics (in the persons of Novak, Neuhaus and Weigel). According to Whitmore, the neo-conservatives hold a dissenting position on ‘economic rights’ given their presence in official documents at a high level of generality. If it is dissent to reject the sexual doctrine taught in the Encyclicals, why, he wonders, should it not also be dissent to reject the social teaching regarding such things as economic rights in those documents? Scott Richert is another who takes exception to Woods’ thesis. His objection, it seems to me, is extremely pertinent. ‘ [Woods’] use of phrases as ‘economic law, economic science,’ ‘the very nature of economics,’ ‘value-neutral, scientific discipline’… goes straight to the heart of the matter. Catholic social thought does not regard economics as a hard science, like mathematics; at best, it is a science in the sense that Latin and all European language other than English can use the term–knowledge as an object of study. Thus, history can be a science without there being a science of history, in the sense of immutable laws that govern history’22. He notes Woods’ citation of the pertinent paragraphs from Quadragesimo Anno and remarks ‘Pius XI did not concede that ‘economics is a bona fide science’ in the sense of mathematics, as [Woods] implies. Pius does not refer to ‘economic science,’ and his very use of the term moral science… makes it clear that he is writing… within the context of the broader understanding of scientia… The question, then, comes down to the nature of economic science. If [Woods’] assumption is incorrect, and ‘economic laws’ aren’t the equivalent of mathematical laws, then the Church is well within Her authority to instruct Christians to act outside of such ‘laws’–or, indeed, even to act against them’23. Woods responded in a short paper of 22 June 2004, referring to his forthcoming book. The key point in this paper (and, presumably, the book) is to distinguish between moral and technical matters. Where a policy or procedure is intrinsically immoral, no instrumental considerations come into play. Abortion, for example is intrinsically immoral so its alleged efficiency as a method of population control is irrelevant. But where policies or procedures are morally indifferent then technical considerations come into play in considering which to choose. As Woods puts it, ‘if things work in a certain way, no Church pronouncement can make them work another way’. [p. 3.] Woods is not claiming that the sciences, including economics, are exempt from moral critique, merely exempt from technical critique. In this claim he is, I believe, fundamentally correct. Both Woods and Richert advert to Quadragesimo Anno, paras. 41 and following. I believe that Richert seriously underestimates the significance of this passage and that even Woods doesn’t exploit its full potential. 41. ‘…[T]here resides in Us the right and duty to pronounce with supreme authority upon social and economic matters [de rebus istis socialibus et oeconomicis]. Certainly the Church was not given the commission to guide men to an only fleeting and perishable happiness [ad fluxam solum et caducam felicitatem dirigendi] but to that which is eternal. Indeed ‘the Church holds that it is unlawful for her to mix without cause in these temporal concerns’ [terrenis hisce negotiis sine ratione se immiscere nefas putat Ecclesia] [in Pius XI’s Ubi Arcano, 1922]; however, she can in no wise renounce the duty God entrusted to her to interpose her authority, not of course in matters of technique [non iis quidem, quae artis sunt] for which she is neither suitably equipped nor endowed by office [ad quae neque mediis aptis est instructa nec officio praedita], but in all things that are connected with the moral law. For as to these, the deposit of truth that God committed to Us and the grave duty of disseminating and interpreting the whole moral law, and of urging it in season and out of season, bring under and subject to Our supreme jurisdiction not only social order but economic activities themselves. 42. Even though economics [oeconomica res] and moral science [moralis disciplina–i.e., not ‘scientia’ as Richert suggests ] employs each its own principles in its own sphere, it is, nevertheless, an error to say that the economic and moral orders are so distinct from and alien to each other that the former depends in no way on the latter. Certainly the laws of economics [oeconomicae… leges], as they are termed, being based on the very nature of material things [ex ipsis rerum naturis] and on the capacities of the human body and mind [et humani corporis animique indole profectae], determine the limits of what productive effort cannot, and of what it can, attain in the economic field and by what means [statuunt quidem quosnam fines hominis efficientia non possit, quosnam possit quibusque adhibitis mediis in campo oeconomico persequi]. Yet it is reason itself that clearly shows, on the basis of the individual and social nature of things and of men, the purpose that God ordained for all economic life. Such authoritative pronouncements are not to be made in matters of TECHNIQUE where the Church is (a) neither suitably equipped, nor (b) endowed by office; but in (c) are to be made in all things connected with the moral law, and social and ECONOMIC activities fall under the moral law. However, it is an error to hold that (a) the economic order, and (b) the moral order are so distinct that (a) depends in no way on (b). The moral law (a) commands us to seek our supreme and last end in the whole scheme of our activity, and (b) commands us to seek directly in each kind of activity [including economic activity] those purposes that nature (or rather God, the author of nature) established for that activity, and (c) commands us to subordinate (b) to (a) in an orderly way. I realise that I could be accused of selective citation in that the passage I have been analysing above is only one section from one Encyclical, but it contains, I believe, in principles 4, 6, 5 & 8 above, the kernel of the correct account of the relation between ethics and economics, one that broadly agrees with the account given by Woods and by me. While situating all human activity within the scope of morality (how could it be placed otherwise? ), Pius XI recognises that economics has its own principles and laws that operate in their own sphere. In technical matters the Church (and, by extension, any moral theory) has nothing to say to economics. Which matters, precisely, are technical, and what precisely the laws of economics are–these questions, of course, are not easily answered and different views can and will be taken. But the principled point has, I believe, been conceded that whatever be the scope of the technical economics, and whatever be its laws, they cannot just as such be constrained by ethics. Alvey, James E. ‘A Short History of Economics as a Moral Science.’ Journal of Markets & Morality, Vol. 2 No 1 (1999), pp. 53-73. Anderson, Elizabeth. Values in Ethics and Economics.Cambridge, Mass. ;HarvardUniversity Press, 1993. Balogh, Thomas. The Irrelevance of Conventional Economics. London: Weidenfeld and Nicolson, 1982. Bayer, Richard. Capitalism and Christianity: The Possibility of Christian Personalism. Washington,D.C. : GeorgetownUniversity Press, 1999. Boettke, Peter J. ‘Controversy: Is Economics a Moral Science? : A Response to Ricardo E. Crespo.’ Journal of Markets and Morality, Vol. 1 No. 2 (1998), pp. 212-219. Broome, John. Ethics out of Economics. Cambridge: CambridgeUniversity Press, 1999. Chafuen, Alejandro A. Faith and Liberty: The Economic Thought of the Late Scholastics. [Studies in Ethics and Economics] New York: Lexington Books, 2003. Cima, Lawrence R. and Thomas L. Schubeck. ‘Self-Interest, Love, and Economic Justice: A Dialogue between Classical Economic Liberalism and Catholic Social Teaching.’ Journal of Business Ethics, Vol. 30 No. 3 (2001), pp. 213-231. Cleveland, Paul A. ‘Connections Between the Austrian School of Economics and Christian Faith: A Personalist Approach.’ Journal of Markets & Morality, Vol. 6 No 2 (2003), pp. 663-671. Corin, Jay P. ‘The Neo-Distributism of Friedrich A. Hayek and Wilhelm Roepke.’ Thought, Vol. 63 (1988), pp. 397-412. Crespo, Ricardo F. ‘Controversy: Is Economics a Moral Science?’ Journal of Markets & Morality, Vol. 1 No 2 (1998), pp. 210-211. Crespo, Ricardo F. ‘Controversy: Is Economics a Moral Science? : A Response to Peter J. Boettke.’ Journal of Markets and Morality, Vol. 1 No 2 (1998), pp. 220-225. Dougherty, Richard J. ‘Catholicism and the Economy: Augustine and Aquinas on Property Ownership.’ Journal of Markets & Morality, Vol. 6 No. 2 (2003), pp. 479-495. Dow, Sheila C. Economic Methodology: An Inquiry. Oxford: OxfordUniversity Press, 2002. Etzione, Amitai. The Moral Dimension: Towards a New Economics. London: Collier Macmillan, 1988. Finn, Daniel Rush. ‘On the Choice of Method in Economics: Options for Humanists–A Response to Gregory Gronbacher.’ Journal of Markets & Morality, Vol. 3 No 2 (2000), pp. 224-238. Flanders, Todd R. ‘Liberty and the Virtue of Prudence: A Catholic Perspective.’ Journal of Markets & Morality, Vol. 2 No 1 (1999), pp. 102-113. Graham, Robert Charles. ‘The Value of Economics.’ Journal of Value Inquiry, Vol. 26 No. 1 (1992), pp. 133-136. Griffiths, M. R. and J. R. Lucas. Ethical Economics. New York: St Martin’s Press, 1996. High, Jack. ‘Is Economics Independent of Ethics?’ Reason Papers, Vol. 10 (1985), pp. 3-16. Hunt, Ian. ‘How the Laws of Economics Lie.’ Journal of Applied Philosophy, Vol. 18 No. 2 (2001), pp. 119-133. Hutchinson, T. W. The Politics and Philosophy of Economics: Marxians, Keynesians and Austrians. Oxford: Basil Blackwell, 1981. Keita, L. D. ‘Neoclassical Economics and the Last Dogma of Positivism: Is the Normative-Positive Distinction Justified?’ Metaphilosophy, Vol. 28 No. 1-2 (1997), pp. 81-101. Kincaid, Harold. ‘The Empirical Presuppositions of Metaphysical Explanation in Economics.’ Monist, vol. 78 No. 3 (1995), pp. 368-385. Long, Roderick T. Review of Leland B. Yeager’s Ethics as Social Science: The Moral Philosophy of Social Cooperation, in The Quarterly Journal of Austrian Economics, Vol. 6 No 1 (2003), 89-98. Luckey, William R. ‘Does John Courtney Murray’s Defense of Freedom Extend to Economics? : An Austrian Perspective.’ Journal of Markets & Morality, Vol. 5 No. 2 (2002), pp. 425-438. Marshall, Alfred. Principles of Economics. London: Macmillan, 1890. Mill, John Stuart. Collected Works of John Stuart Mill, 33 vols. Ed J. M. Robson. Toronto:University of Toronto Press, 1981-1991. O’Donnell, M. G. ‘Economics as Ethics: Bastiat’s nineteenth century Interpretation.’ Journal of Business Ethics, Vol. 12 No. 1 (1993), pp. 57-62. Pelligrino, Edmund D. ‘Economics and Ethics: The Right Ordering of Conflicting Paradigms.’ Philosophical Inquiry, vol. 22 No. 3 (2000), pp. 1-16. Robbins, Lionel. An Essay on the Nature and Significance of Economic Science. 2nd ed. London: Macmillan, 1935. Ricardo, David. The Works and Correspondence of David Ricardo, 11 vols., ed. Pierro Sraffa and M. H. Dodd. Cambridge: CambridgeUniversity Press, 1951-73. Richert, Scott P. ”Economic Law’ versus Catholic Social Teaching.’ http://chroniclesmagazine.org/cgi-bin/rockfordfiles/cgi/Economics%20Freedom/Theor… (22 March 2004). Richert, Scott P. ”Economic Law’ versus Catholic Social Teaching, Part II.’ http://chroniclesmagazine.org/cgi-bin/rockfordfiles.cgi/Economic%20Freedom/theor… (24 March 2004). Richert, Scott P. ”Economic Law’ versus Catholic Social Teaching, Part III.’ http://chroniclesmagazine.org/cgi-bin/rockfordfiles.cgi/Economic%20Freedom/theor… (26 March 2004). Rothschild, Kurt W. Ethics and Economic Theory: Ideas, Models and Dilemmas. Aldershot: Elgar, 1993. Schansberg, D. Eric. ‘Common Ground Between the Philosophies of Christianity and Libertarianism.’ Journal of Markets & Morality, Vol. 5 No 2 (2002), pp. 439-457. Sen, Amartya. On Ethics and Economics. 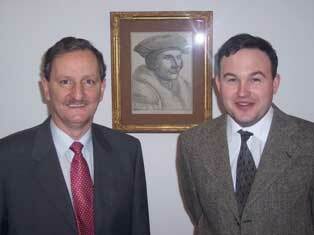 Oxford: Blackwell, 1987.
von Mises, Ludwig. Epistemological Problems of Economics. 3rd ed. Translated by George Reisman from Grundprobleme der Nationalokonomie: Untersuchungen uber Verfahren, Aufgaben und Inhalt der Wirtschafts-und Gesellschaftslehre (1933). Auburn, Alabama: Ludwig von Mises Institute, 2003. Weikard, Hans Peter. ‘A Methodological Note on Ethics, Economics, and the Justification of Action.’ Journal of Agricultural and Environmental Ethics, Vol. 5, No. 2 (1992), pp. 183-188. Weston, Samuel C. ‘Towards a Better Understanding of the Positive/Normative Distinction in Economics.’ Economics and Philosophy, Vol. 10 No. 1 (1994), pp. 1-17. Whitmore, Todd David. ‘The Loyal Dissent of Neo-Conservative Economics, PartI.’ http://www.nd.edu/~cstprog/19981002.htm (2 October 1998). Woods, Thomas E. Jr. ‘Catholic Social Teaching and Economic Law: An Unresolved Tension.’ http://www.lewrockwell.com/woods/woods8.html (2002). Woods, Thomas E. Jr. ‘The Trouble with Catholic Social Teaching.’ http://www.lewrockwell.com/woods/woods25.html (2004). Woods, Thomas E. Jr. ‘On the Actual Progress of Peoples.’ http://www.lewrockwell.com/woods/woods26.html (27 November 2007). Woehrling, Francis. ”Christian’ Economics.’ Journal of Markets & Morality, Vol. 4 No. 2 (2001), pp. 199-216. Yuengert, Andrew. ‘Why did the Economist Cross the Road? : The Hierarchical Logic of Ethical and Economic Reasoning.’ Economics and Philosophy, Vol. 18 No. 02 (2002), pp. 329-349.